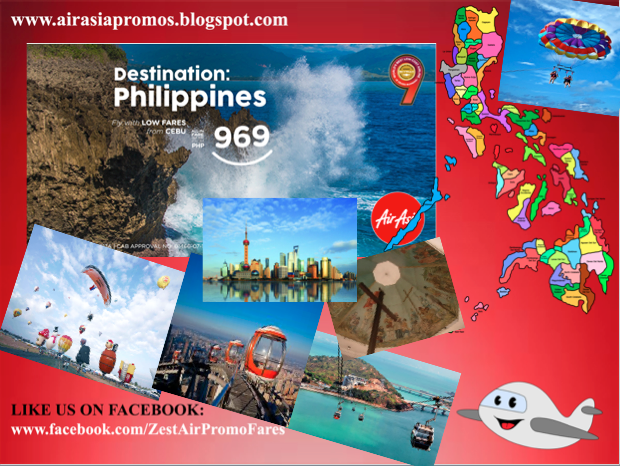 AirAsia Promo Fares: The Philippines is a country that is rich in beautiful tourist attractions and an archipelago of around 7,000 plus islands. One of the most visited place of the country is the Queen city of the South, Cebu. It's also a gateway to many inter-island destinations connecting local commercial trade between LGUs. So with a number of people coming in and out of Cebu, there are more options for all to travel to see the wonders of the Philippines especially in the Visayas Regions. With the current promo deal that AirAsia PH is offering, passengers will enjoy a low plane ticket fare coming from Cebu for Php 969 All In One-way fare. 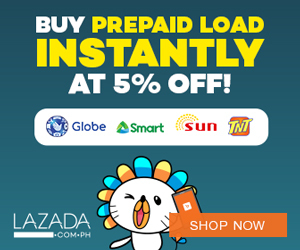 Destinations that one can avail of the promo are Cebu, Davao, Kalibo etc. However, a return flight fare from Kalibo to Cebu, Davao and Clark is only Php 669. So, what are you waiting for? Booking period is July 21, 2017 to July 30, 2017. Travel period is from July 21, 2017 to December 15, 2017. Below are other rates from the airline. Whether is for a domestic trip or international bound, AirAsia Philippines sees to it that there are cheaper plane ticket fares for you to avail. You can visit China via Guangzhou. Or Kuala Lumpur in Malaysia from Cebu. You will a moment to take selfies at the Twin towers (Petronas). Maybe a visit to Hong Kong will allow you to check Macau as well via a ferry vessel. Keep sharing this information to friends and family. You have a few more days left to book a ticket.